Nancy brings to her work over 25 years of nursing experience, including trauma and critical care, hospice, home health, rehabilitation, and administration. She became certified in Holistic Nursing, Healing Touch and Therapeutic Massage. Founder of Healing Arts, Inc. in 1995, Nancy provides Healing Touch, Holistic Nursing Consultation, and Therapeutic Massage. 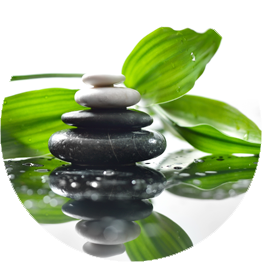 She is a member of Healing Touch Professional Association and a Certified Healing Touch Instructor since 1998. She is past chair of the Ethics Committee for Healing Touch Program currently a committee member and lead Instructor for Level 4/5. Terry is a psychotherapist who has practiced in the Baltimore/Annapolis area for over 15 years. Terry works with teens and adults and believes in helping every person figure out what they want in their lives, what's getting in the way, and how to get there. Many of her clients have anxiety and/or depression and the vast majority have situational problems that are stressful and they are unsure how to handle them. She believes in giving her clients tools to immediately reduce stress, depression and anxiety, and then assists them in developing a plan to get through the situation and grow as a result, helping them develop confidence in their ability to handle what life throws at them. An underlying theme in her work is helping clients uncover what brings them happiness and joy. Terry also practices Ericksonian Hypnosis which is a type of hypnotherapy developed by Milton Erickson that uses indirect techniques, working with metaphor and stories to communicate with the unconscious mind, emphasizing the positive rather than 'eliminating' the negative. If you wish to speak with Terry or set up an appointment you can reach her at 240-460-2796. She practices exclusively at the Essential Wellness Centre in Crofton.